MERGER DMX mixes two DMX signals coming from two different input sources (A+B) into one DMX output. DIP switches of MERGER DMX set up the merging mode, resulting in a unique output signal (from A+B inputs). 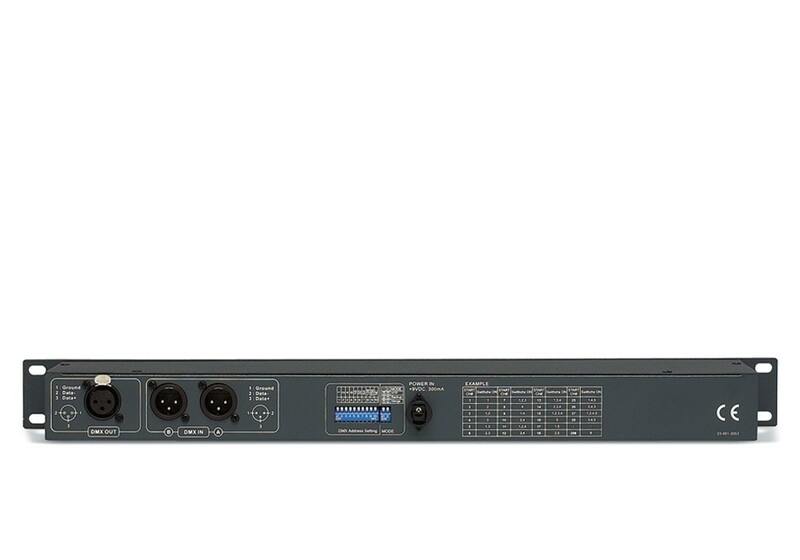 It automatically changes DMX channel addresses to optimize available channels of the console. It also allows using a console as backup of another one. HTP mode: when there are two input signals, the priority goes to the highest one. Backup mode: Signal at A input goes to output, and if it disappears, it is substituted for B input signal. Merge mode: the device allows mixing the two input signals in a unique output signal. DMX signal merger for lighting control. 3 operating modes: HTP, Backup and Merge modes. Operating modes and start channel address seleccionable by DIP switches. 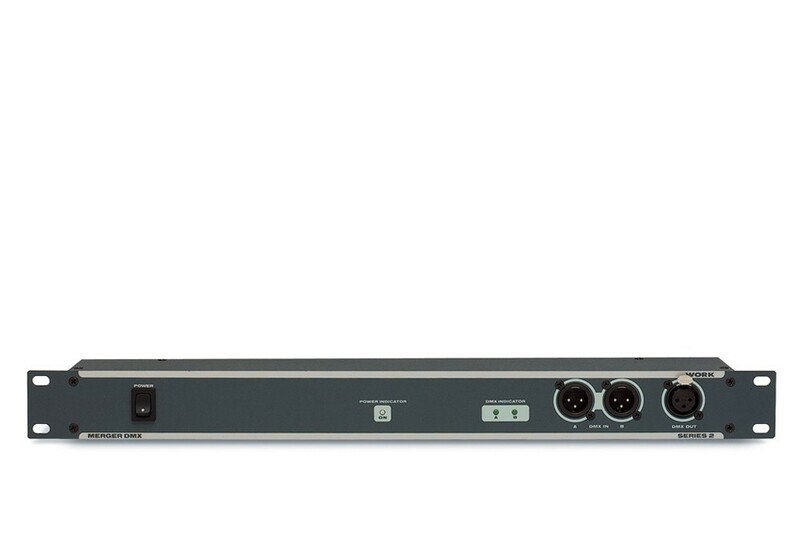 DMX inputs and outputs: Male XLR3 (In) and Female XLR3 (Out) on front and rear panels. Main supply: DC 9 V, 500 mA (included). Dimensions (WxHxD): 483 x 44 x 73 mm.